I hauled Redken after my latest hairdresser visit. It was one of those purchase sprees spurred on by relief that the appointment had gone well. Shampoo, conditioner and treatment product all added to basket and after a couple of weeks of usage I have to say, money well spent. In fact I am glad that I threw caution to the wind and deviated from my beloved Phyto. First things first, the shampoo and conditioner combo works well to ensure relatively smooth, detangled hair. I will admit that there is an initial "puff head" phase where my hair appears to have tripled in size and I resemble a mushroom but by morning (I always wash at night) it's straight and pretty sleek. It reminds me of that Pantene Aqua stuff that ruled my laugh last summer....sadly not available here. It smells like a fruit salad, dries quickly, doesn't weight the hair down and smooths the cuticle. It's designed to be used on those crispy ends and then works to fortify them - well, make them look healthy. I feel that this started to work almost immediately. I apply on damp hair and it makes everything look shiny and healthy. Now another thing...my hairdresser told me to wipe the residue on my nails and see if I noticed a difference. That's what I did. After I apply this to the lengths of my hair I wipe the residue over each nail. Two weeks later and my nails are noticeable stronger - even after I peeled off my Gelish (don't tell the manicurist). I actually don't remember my nails being this strong for a while. So that's the end of my hair ramble! I love redken! Along with kerastase and phyto it's probably my favourite haircare brand. My miracle hair product has now been discontinued - it was Elixir by Aveda. The supposed replacement is useless in comparison and Elixir is greatly missed by me! ah i think i remember Elixir. Why do companies do this to us? I'd love to try this since my hair is so dry! Something better than Phyto Day Cream which smells like fruit salad is something I need! Well fruity-ish :) Love it! Perfectly timed post! I was just considering splurging on some Phyto after a particularly trying blow dry session this morning. Would still always rate Phyto very highly :) Hope you find a combo you love! Sounds amazing! Might have to be my next hair splurge. 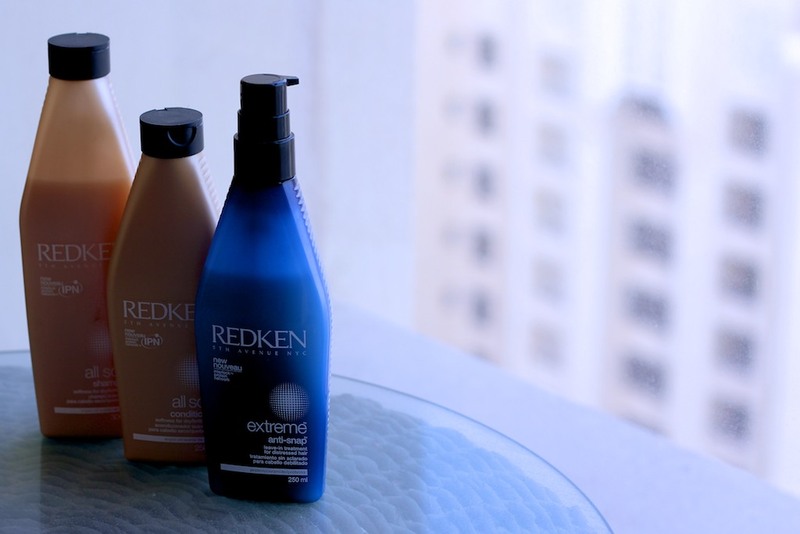 I love the Redken range! They are so great! :) Currently i'm loving Philip Kingsley & Aussie! Whoa, that's so funny. I just bought Redken All Soft conditioner and the Extreme CAT spray, which I think is very similar to the anti-snap. It's full of concentrated proteins for hair strength. So far I'm really liking both! I use to love Redken, then Kerastase, but Phyto is absolutely amazing ( PhytoKeratine line, PhytoDefrisant Botanical Hair Relaxing Balm and once a week PhytoNeutre Balancing Cream Shampoo). I actually have a "normal" hair now and not the dry totally frizzy mess. I've never tried Redken before but I usually use Biolage. I'm currently using UNITE which also smells delish. have heard VERY good things about Biolage! i am not obsessed with doing it. seriously so much stronger! Definitely going to wipe the residue on my nails! I've been using this for years and will be nice to know if my nails can benefit from it too! My miracle hair product is Cibu Ancient Serum. I love it and it makes my hair so smooth after I dry it. see i wasn't going mad :) Thanks for the recommendation! i've always wnated to try the all soft line but that anti-snap stuff looks really good! Laura, have your tried the Volumising Redken, it's the green range, it's amazing. My hair-dresser recommended it and it lasts for ages! Ooh, I would like to give the anti-snap a whirl. My only experience with redken is the all soft argan oil which can be used in about six different ways and does make the hair incredibly soft but for me, oil-wise, morrocon oil has the edge! I almost forgot how great this stuff was! I used to use it, but when I ran out I started using that Miracle 10 one, which is ok, but not great. I think I'm going to go back to the Redken Anti-Snap after I run out. It is wonderful! ah sorry to hear about that. the treatment gets a definite thumbs up! I just bought a travel-sized anti-snap last week after Amy (dazzledust) recommended it and now am very excited to try it soon! I would have opened it. Y now but trying to use up a couple other products first- I've amassed quite a few hair products lately! "Crispy ends"!! This sounds like exactly what I need! i like the redken all soft mask they do in a tub. i also like the elvive shampoo and conditioner in the black containers, your hair feels so soft after, hate the elvive stuff normally. the macadamia deep hair repair mask is also lovely as is the bliss supershine shampoo in lemon and sage. I looooove the way anti-snap smells its SO nice! I've been using the anti-snap treatment for years! It is my secret to keeping my hair long and strong!! I love Redken. Def one of my favourite brands. I use their Real Control Hair Masque Conditioner (comes in a big tub) to condition my hair regularly. It is fantastic! You need the littlest amount of product and it lasts forever! Redken's overnight treatment is ah-mazing! Ooooh the All Soft range and that Anti-Snap treatment have been on my wishlist for a while now along with the Redken Extreme Strength Mask which I've read and heard so many good things about, but I've decided I'm on a quest to find a SLS free shampoo (proving to be very difficult so far). If i don't find one I like I'm going in for the kill and buying the Redken range but anything atm to give my hair some seeerious tlc. 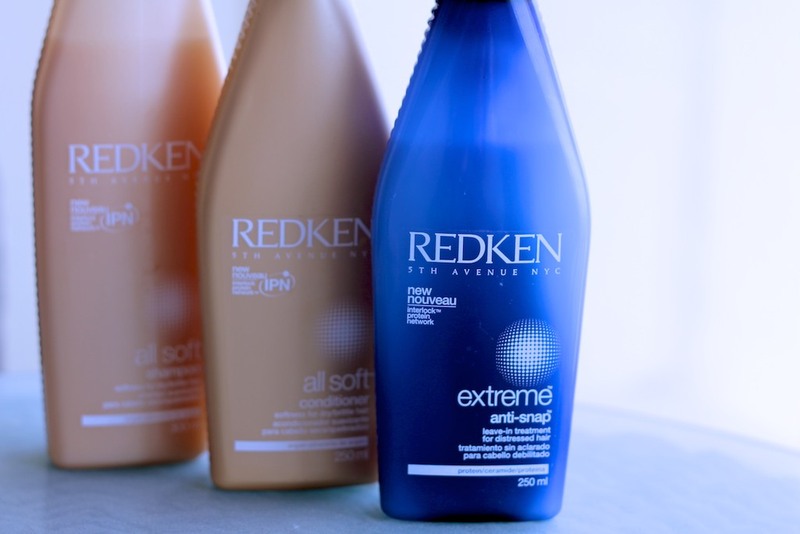 Redken's all soft range is great, so moisturizing. I am loving Davines Glorifying shampoo & conditioner and Pureology's Hydrate conditioner is da bomb if you have dry hair, nothing transforms my hair like this conditioner. The ones I like are I.K.O.N. 's Drench shampoo I highly recommend this one too! I like the sound of the anti-snap. I have heard great things about Redken maybe its time I try it! I am a big fan of Redken but I haven't heard of the anti snap, this is something that will be going on my wish list. I have always had a love-hate relationship with Redken. I've found some of their products work wonders and others just leave me a bit disappointed. My favourite at the moment would have to be Shine Flash (their shine spray/glistening mist) - some people say they can't stand the smell (which doesn't bother me at all) and complain that it doesn't DO anything... but for me it works incredibly well at what it's meant to do (not what other people are *hoping* that it'll do such as smoothing for gosh sakes! ), that is, give some shine at the last minute. After all, it's 'just' a finishing spray! I'm a hairdresser & LOVE Redken. They are my go to for shampoo, cond & treatments, and I like TIGI Bedhead for styling! But your post has made me more confident in that the all soft will work good if i stick with it :) did it feel live changing within the first use for you laura? with understand individuals and also unknown individuals also tinder plus You are making the new link on tinder is extremely easy as.